Statistically, every European consumes several litres of ice cream per year. Of course, there are differences – for instance, in Portugal, the average is four litres while in Finland, it’s more than ten – however, there can be no doubt that people all over the continent love ice cream. This may have been one of the reasons for the creation of Gelato, an interesting new product from System JO. And talking about new: The company only just overhauled their brand, resulting in a new, modern look for their products. We spoke about all of these things with System JO’s European Regional Manager, Becky Anniuk. System JO recently made some changes to its business structure. Could you tell us a bit more about these changes? Becky Anniuk: The business structure has changed in order to better assist our partners and the end consumer. Over the past year, we have brought on incredibly talented team members. We enjoy an internal cadence that gathers our entire company together each quarter to discuss our company goals, current progress on goals, and upcoming strategies or projects in development. We can talk about all the changes that have reorganised or benefited our internal structure for the better, but truly our strongest change has been a new company culture. We have all flourished under a culture that focuses on personal growth and empowerment. Our leadership team has taken the time to ensure that each individual’s talents and passions are properly developed. The positive work environment and genuine praise for quality work has made the biggest difference in who we are today; a group of people who love making lubricants! What will change for your customers in the wake of these developments? Will the support for retailers remain the same – will it maybe even get better? Our customers first saw a major benefit from some of these changes at the recent ANME show in July. 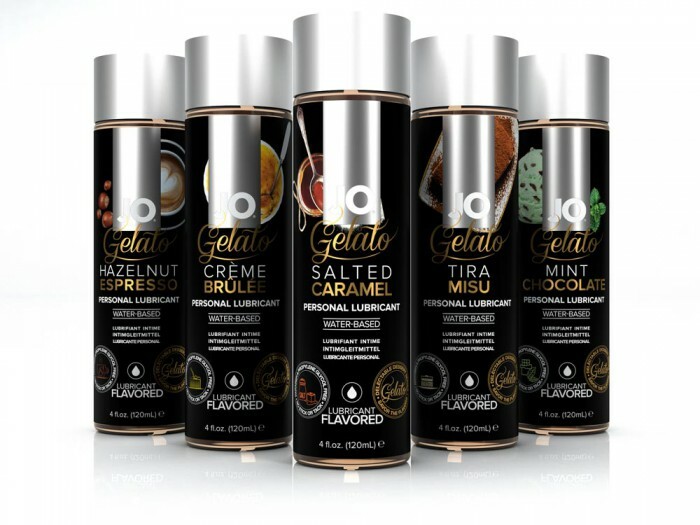 We released a brand new flavoured personal lubricant line known as Gelato that was completed and prepared for launch as of the start of the show. Customers who wanted it could get it. We were so organised with this initial release that we were sold out within the first 48 hours. The support for retailers will get even better, we have begun executing on our brand marketing. For instance, if your business uses Facebook in order to get people into the store or display sales, then like our page. We have a full social media system in place that has been working to increase our exposure and drive traffic to stores directly. For the rest of this year, we focus on product re-launches of products originally released with our Sexual Wellness Center. This offers us the opportunity to support our new releases in the market while driving their sell-through with a much larger marketing campaign. We have foils available in pretty much every style, so providing customers with free samples is easier than ever before. Let’s talk about your products. What were the most recent developments on this end for System JO? Available in Original or Strawberry with an option for a feminine spray as well as a toy cleaner for a complete certified organic line. Among the latest System JO products is the Gelato Collection. How do you decide which flavour is worthy of a lubricant, and how do you know what the consumers want? We actually went through about four or five trial formulas before we were certain that the product was the absolute best in class. We basically sat down and brainstormed some of our favourite flavours, and we also consulted consumer feedback to see what flavours consumers were asking for. At the beginning of this process, we wanted to make sure that we were creating flavours that were in demand. 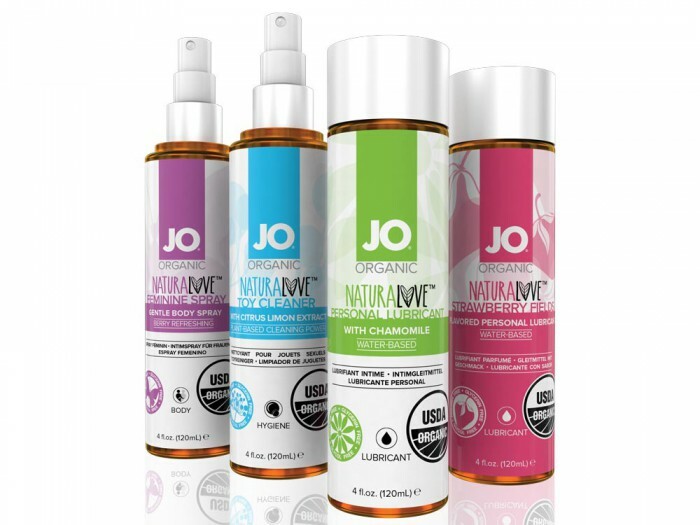 All of our feedback comes from three main channels: information that an account manager or regional manager received from a partner or supporter of JO; information that is received as part of our satisfaction guarantee/product feedback link available on our website; information that is received as part of our product trial or review programme. The lubricant market is full of products with different flavours, colours, or other properties. Good quality is certainly important, but what role does a good brand image play if you want to stand out from the crowd? To stand out in a crowd is rather easy, the issue right now is standing out while properly representing your product as a Class II Medical Device. We believe that the best way to stand out is to be true to the brand and what you offer the end consumer. By putting the buyer first, you can never go wrong. Would you agree that the consumers are becoming more conscious about the ingredients of the products they use? How does this affect the market for lubricants and hygiene products? Consumers are more ingredient-conscious, we see more consumers referencing ingredient labels than clipping coupons. People have no problem paying for quality, but sometimes quality can be difficult to decipher. Being more ingredient-savvy is a double edged sword, in an age where information is readily available it becomes more difficult to share the same truths. The two biggest ingredients that we are always looking into are new preservative systems and proper glide ingredients that provide that ideal slickness. You will see in our new Naturalove Formula that it is in fact preservative-free – the ingredient working to maintain the shelf life is actually pure organic chamomile. Our analysis of trends found within the adult market has given us a platform of strength within our development channel; we can’t wait to show off some of our best lubricants ever! System JO will have a stand at eroFame in October. What will you present to the retailers who visit your stand? We have a lot to share with retailers that visit our stand at eroFame in October. Our presence will be focused mainly on our top category, personal lubricants. We of course will still be showcasing stimulants, massage, hygiene, and body products. Our 4 biggest products that everyone must come and see and/or try are Gelato, Agape, Naturalove, and the new Jelly line available in both water-based and silicone-based formulas. We will be showing off our rebranding, discussing some of the changes and getting people comfortable with our new presentation. What are System JO’s plans for the future? What can we expect in the next months? System JO has been planning a wide range of launch packages that will support the success and sell-through of new products in stores and online, and primarily will be focusing on the new Gelato and Organic ranges. What you can expect from us in the coming months is a more refined package that takes into account the needs that stores have. We are working to ensure that there will be more gift with purchase programmes in the future. We are building more ways to connect with our community, this means more giveaways, more surveys for chances to win amazing prizes, and a lot more cooperative endeavours that are focused on partnering toys with lubes. What we want more than anything is to hear from our fans and critics alike, if you have an opinion or something to share – we want to hear it.